The Government of India has been declared the India Scholarship Application Form 2017. There are so many types of scholarship schemes for Class 6th| 7th| 8th| 9th| 10th| 11th| 12th| MBA| MCA| Ph.D. and other class students. 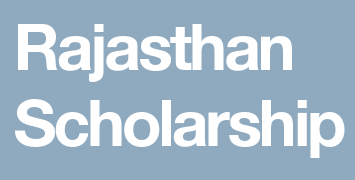 The association of Rajasthan has offered different types of programs to award scholarships easily to the student. Those candidates who belong to SC/ST/OBC/Minority category should be filling this online form for getting a reward as scholarship. In this part is going to express all the guests of this web page regarding the program run as Samaj Kalyan Vibhag Rajasthan Scholarship 2017, if you want to get this scheme then the procedure is, you have to fill online application form. 2. Click on “New Registration” button| give the desire information and get username and password. 3. Save that user name and password for further use. Duplicate Registration will not be given. 4. Click on Log in button| enter your User ID and Password given as above and enter into site. 5. Click on “Apply for Scholarship” button provides all desired details| check and after confirmation “Lock” the Application.